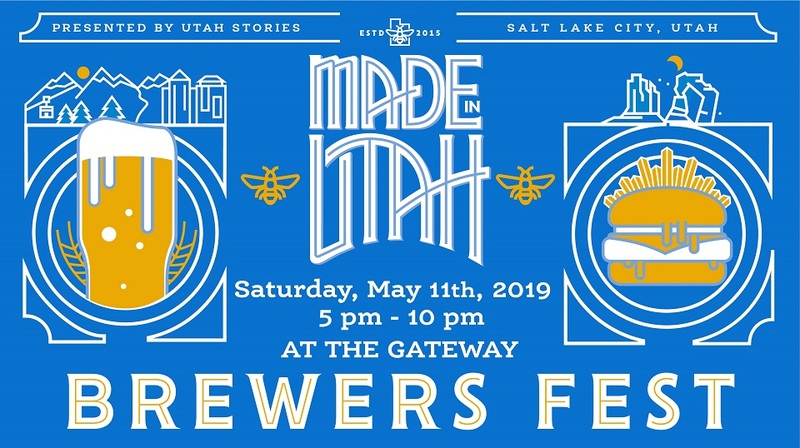 The first annual Made in Utah Brewers Fest will take place on May 11th, 2019 at the Gateway 12 S 400 W (next to The Grand Hall). You will be able to enjoy a variety of beers from our local breweries and vote for your favorites. Do not worry about empty stomachs, there will be food for purchase from local vendors as well as live music. The goal of this event is to introduce you to some of the new breweries and beers you may not heard about. First 500 passes sold are free, $5 afterwards. This is an indoor event, the space is limited so get your pass today. This is 21+ event.